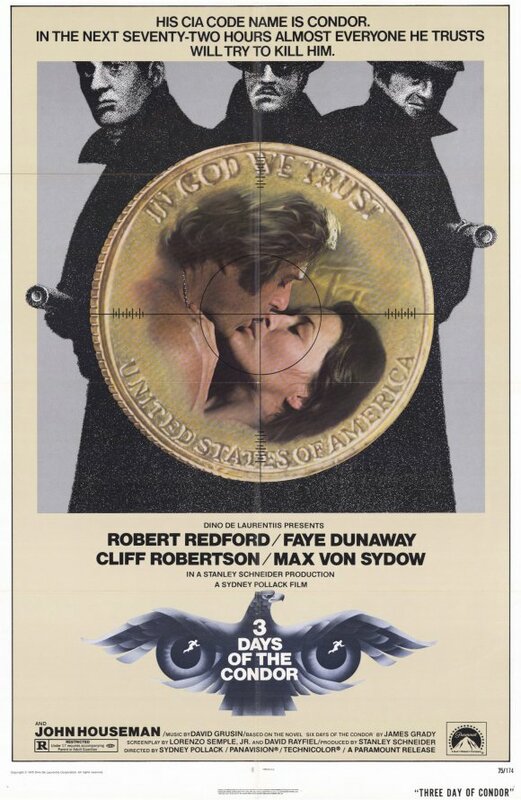 This entry was posted in 1970's, Faye Dunaway, Film Reviews, New York City Films, Robert Redford, Sydney Pollack and tagged Cliff Robertson, Faye Dunaway, John Houseman, Max Von Sydow, Robert Redford, Sydney Pollack, Three Days of the Condor. For some bizarre reason I’ve never seen this film. Meant to. Esp. after it was referenced in OUT OF SIGHT (I believe) but after reading your excellent review, it’s about time that I did. I’m always down for a good paranoid thriller. Check it out I think you would like this. Be interested to here what you think. Thanks R.D.!!! My family talked about that film for years. We still talk about it. Not because it was a good film, or an especially interesting film, or a standout film in terms of performances, settings, plot or camerawork. No, what we — a family of obsessive bookworms — liked about that film was Robert Redford’s job. How did he get that job? Were there really jobs out there like that? Could you just call the CIA and request that sort of job? We children all wanted that job and went out into the world of work hoping one day to run across that job and seize it for ourselves. 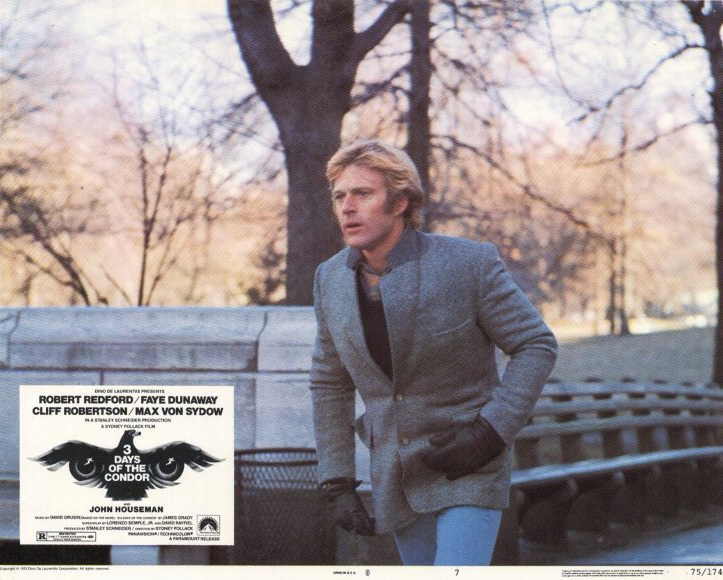 Perhaps Robert Redford may have wound up being hunted by rogue agents, but they probably just wanted his job. LOL, perhaps your right, that would be a good job. Today of course they would have to add the internet to all that reading. Thanks!!! Aye John, that’s quite right there on both counts, and I must say I do remember this film vividly, and did see it first in a theatre. It was one of those films that defined it’s times, and it was one of the best of it’s kind. The paranoid thriller has been sustained to this very day in fact, and of course we’ve had a number of “noir” examples too, as well as films like THE MANCHURIAN CANDIDATE and BLACK SUNDAY. On the pot-boiler front we have th efilms of someone like John Grisham, and I specifically think of THE FIRM. But I do think CONDOR blows these films away. Another excellent piece of writing, and a most excellent subject. Thanks again Sam, I have always liked this film, always found it entertaining and a good provoker for suspicious minds (ha! ).